Retail Price - Prix Client : 36,21 CHF tax incl. FET (Filed Effect Transistor) method designed high-quality sound & low power consumption. Available free versions as well. 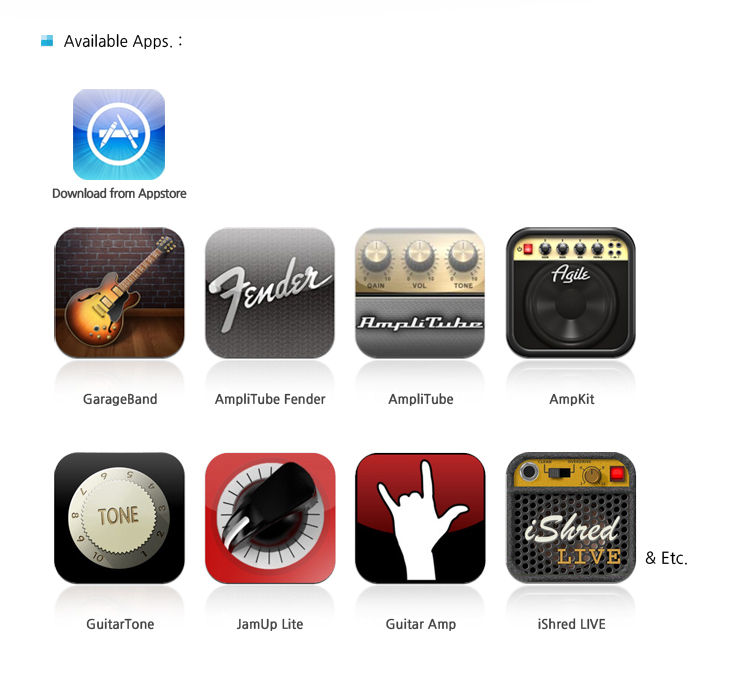 i-Rock is compatible with most of guitar Effect & recording Apps. 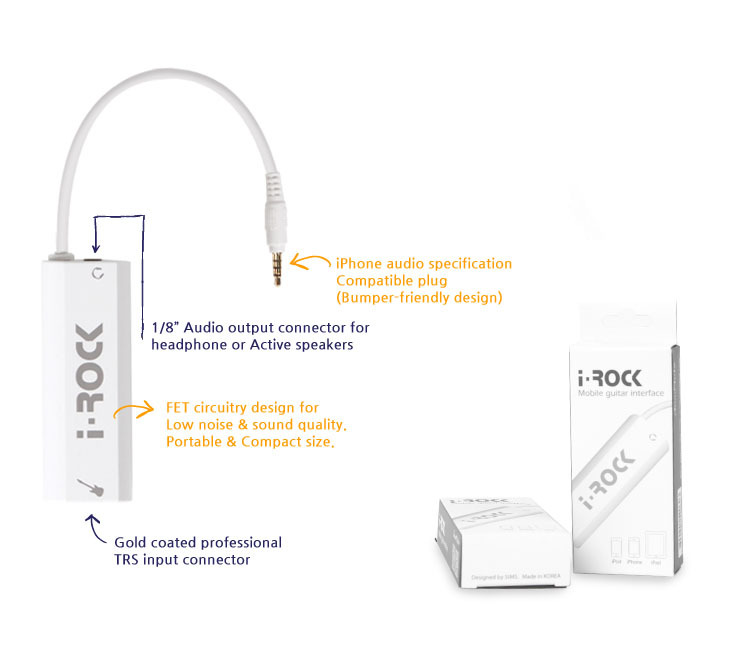 Customer are able to setup & play easily by just plug i-Rock into Apple device.